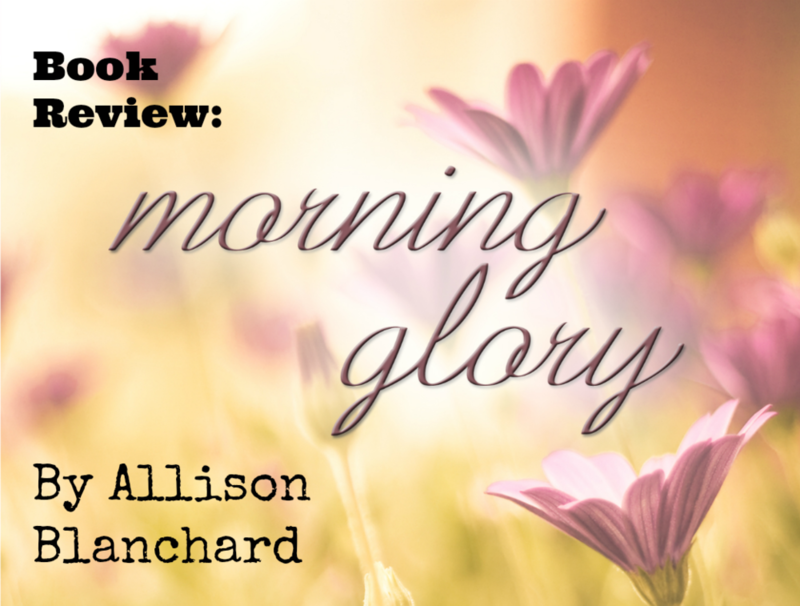 Having read Allison Blanchard’s debut novel Forget Me Not, I was thrilled to have the chance to read and review the sequel. Morning Glory continues the story of Adeline, a high school girl whose ordinary life is turned upside down when she encounters a boy named Cole and his native traditions. Blanchard’s new novel is the perfect blend of depth, drama, and romance. Her stellar cast of characters, dedication to narrative, and attention to detail make Morning Glory an even greater success than Forget Me Not. This book is fantastic. Fans of the first novel’s protagonist Adeline will not be disappointed by her portrayal in this sequel. Blanchard stays true to Adeline’s character throughout this novel, and I had a difficult time finding anything that did not feel true to character. My other two favorites, Cole and Emma, are given an equally respectful treatment. The relationships established in the first novel are deepened and explored further in this sequel. Because fiction is about people, I loved Blanchard’s depth of characters and exploration of family, friendly, and romantic relationships throughout her new book. Another quality that makes this sequel worth reading is Blanchard’s dedication to the established narrative. Blanchard reminds the reader of the legend established in Forget Me Not while adding details that enhance the realism of the mythology. She also does an excellent job of keeping up with her characters’ histories and backstories (I’d like to know how she does it because I could use a few pointers). With a whole mythology to look after, it’s impressive that Blanchard does not slack off when it comes to her attention to detail. As with the backstories, Blanchard makes certain that every part of the legend exists for a reason–that is, every seemingly-insignificant detail coincides with something that happens in the story. Nothing happens unless it needs to. This level of attention is something that I have the utmost respect for. My only complaint about the novel? At times, it seemed that there was too much convenience. Certain events felt contrived rather than inevitable. Without giving too much away, I had a hard time believing the identity of the man who pulled Adeline from the river. Even then, Blanchard did her very best to convince me, which is why I am reluctant to list this single grievance. This sequel is as good as, if not better than, its predecessor. I enjoyed every second of the book and found it difficult to put down. If you loved Forget Me Not, or if you’re in the market for a new kind of paranormal romance, you need to check out Blanchard’s work. You can purchase Blanchard’s debut novel on Amazon. She also has a blog that you can view here. Want me to review your book? Comment or send me an email! I’d love to get in touch with you.